Sesame could become the newest allergen added to the list of foods required to be named on labels, US Food and Drug Administration (FDA) Commissioner Dr. Scott Gottlieb announced Monday. There are currently eight major food allergens that must be declared on US labeling using their common names: milk, eggs, fish, shellfish, tree nuts, peanuts, wheat and soybeans. These eight foods have accounted for over 90% of documented serious food allergies in the country when the Food Allergen Labeling and Consumer Protection Act was passed in 2004, which requires the clear labeling of ingredients. Now the FDA is launching a formal request for information as it considers making sesame the ninth on the list. “Unfortunately, we’re beginning to see evidence that sesame allergies may be a growing concern in the US,” Gottlieb said. “A handful of studies, for example, suggest that the prevalence of sesame allergies in the US is more than 0.1 percent, on par with allergies to soy and fish.” Over 300,000 Americans are currently affected by sesame allergies. Sesame reactions vary from person to person and can be caused by as little as one or two sesame seeds. Symptoms may vary but can include hives, dizziness, itching, stomach pain, nausea/vomiting, wheezing and breathing problems. In severe cases, there is a risk of anaphylaxis or even death. The possibility of such severe reactions is why the FDA believes that the labeling requirements for sesame need to change. 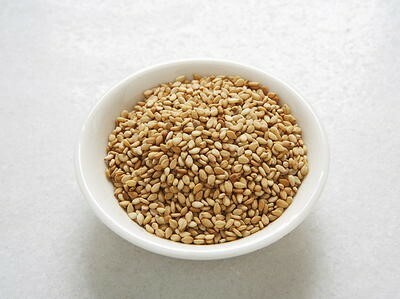 Currently, there are no food labeling requirements for sesame. The issue for consumers is that sesame could be in an ingredient list under a word like tahini or a generic term like ‘natural flavor’. Even the most careful consumer would have difficulty spotting the allergen under current labeling requirements. The FDA is asking for information, specifically from epidemiologists, nutritionists, allergy researchers and physicians, “so we can learn more about the prevalence and severity of sesame allergies in the US, as well as the prevalence of sesame-containing foods sold in this country. These include foods that, under current regulations, may not be required to disclose sesame as an ingredient.” The FDA is accepting comments from October 30 – December 31, 2018. Posted in Food Allergy, Uncategorized and tagged allergy reactions to food, allergy symptoms, FDA, FDA food labeling, Food and Drug Administration, sesame allergy.